3 in 1 Adventure for a $50 savings! This right here is the real deal. This adventure can last up to 6 hours long (or shorter if you want). Why not bring a lunch out with you? Take advantage of our picnic tables and shade trees for a well-deserved break. 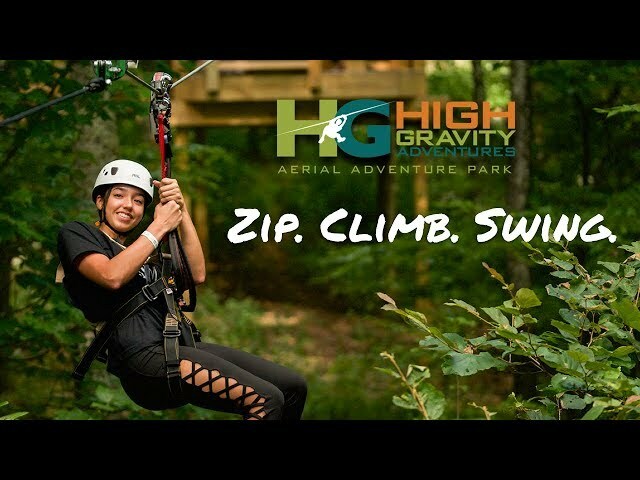 We'll start your adventure off with a 2 hr zip line tour, soaring from treetop to treetop with our guides and then taking an optional 70ft free-fall through the center of our Blue Ridge Course. After that we get you started on our aerial adventure park, where you have up to 3 hours to explore 75+ aerial elements including climbing stations & rappelling stations. End your day with a thrilling Giant Swing ride, where you take a plunge from up to 45 ft in the air! © 2018 High Gravity Adventures. All Rights Reserved.